There is not too much to do outdoors during the winter time. I'm starting to miss the day-trips when the sun was still shinnng. Here is one of them - Bremen. 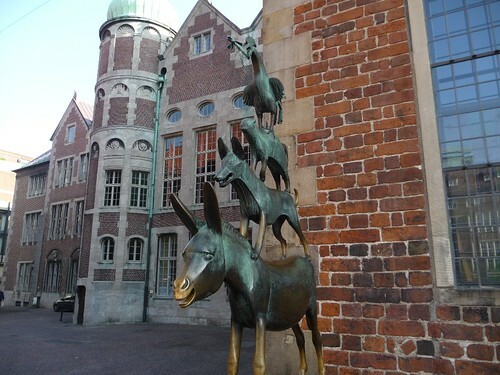 For me, Bremen is a very friendly international city full of tourists. As a foreiner there, I didn't feel uncomfortable at all. Holding the free map from the information centre, we didn't find the 'Town Musicians of Bremen' very easily. It's smaller than we expected. Thanks to the crowd around it, we finally saw it. Have a look at the donkey, and it is quite polished by hands. This is the town hall, one of the finest in Europe and has been included on the building work started in 1410. Roland is in front of the town hall on the main square. It is of the Knight Roland who was a protector of trade. It appears in many European cities especially those involved in the Hanseatic league. 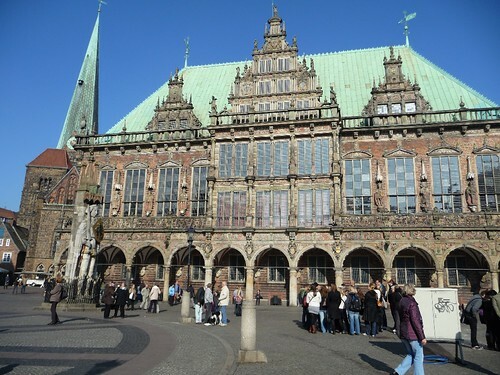 Bremen's is considered as one of the finest and is included with Town Hall on the World Heritage List. 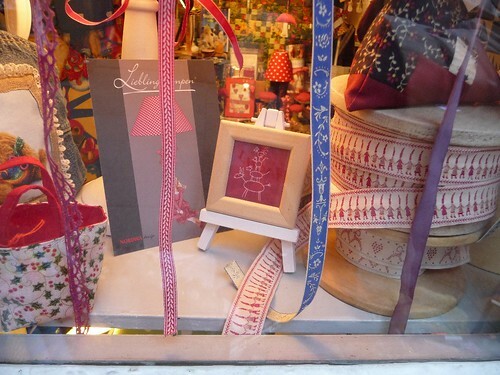 Schnoor is strongly recommended which is an area of twisting lanes. 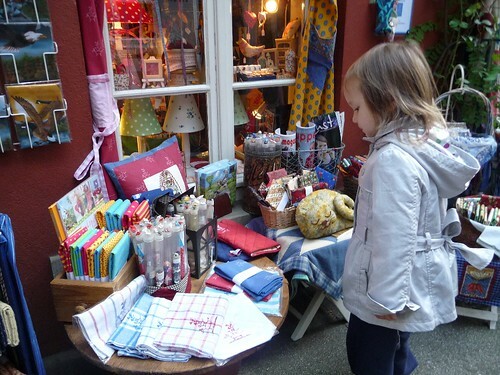 It is a lovely place to wander aimlessly looking at in the many tiny shops. What caught the little girl's eyes? It was certainly her that caught my eyes.